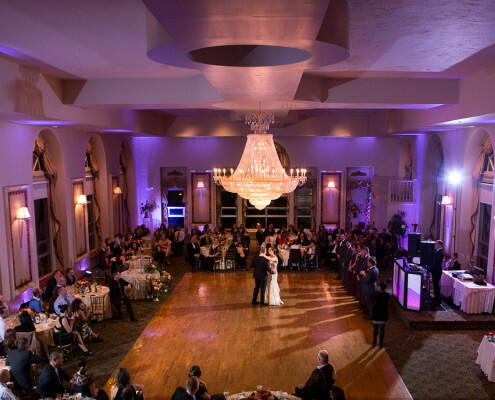 Add to the atmosphere, energy, and excitement of your event and pack your guests on the dance floor with the most advanced lighting systems available. 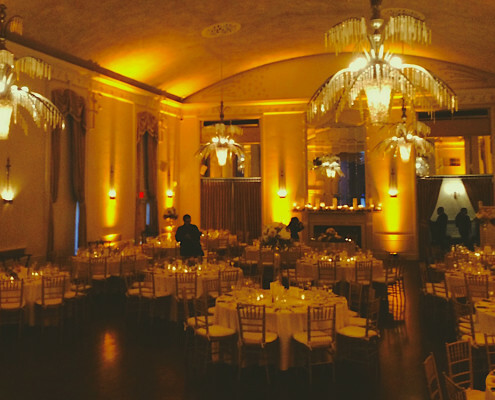 Local Motion’s lighting techs will custom design the perfect effects to reflect your venue and personality. Our lighting systems are unobtrusive, but effective. The ultimate effect to completely transform your venue and set your event apart from all others. Uplighting is the effect with the most ‘wow’ factor. It is subtle and creates a classy atmosphere. Match your color theme with limitless color possibilities. 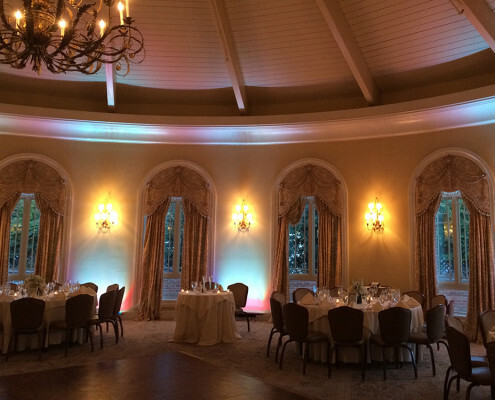 Local Motion’s lighting techs are experienced in creating systems for any location. Our system is upgraded regularly to reflect the latest technology. Wireless systems available for areas with limited power outlets (such as outdoor tented locations). Fully insured to meet the regulations of every venue. 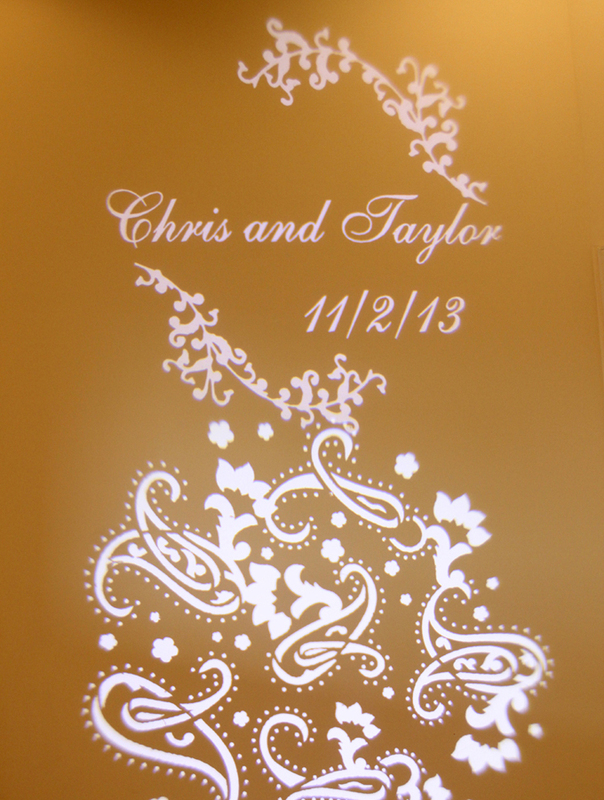 Create the perfect GOBO with a monogram, your names, wedding date, or any design that you choose using the GoboCreator by Stage Spot. We will help you with the process and project your finished product wherever you’d like at your venue. We also have stock artwork to accent full walls or just a desired area within your venue. The possibilities are endless.